I was thinking about what to cook for dinner the other night and remembered a favourite from my childhood growing up in Florida and one which my own children love. 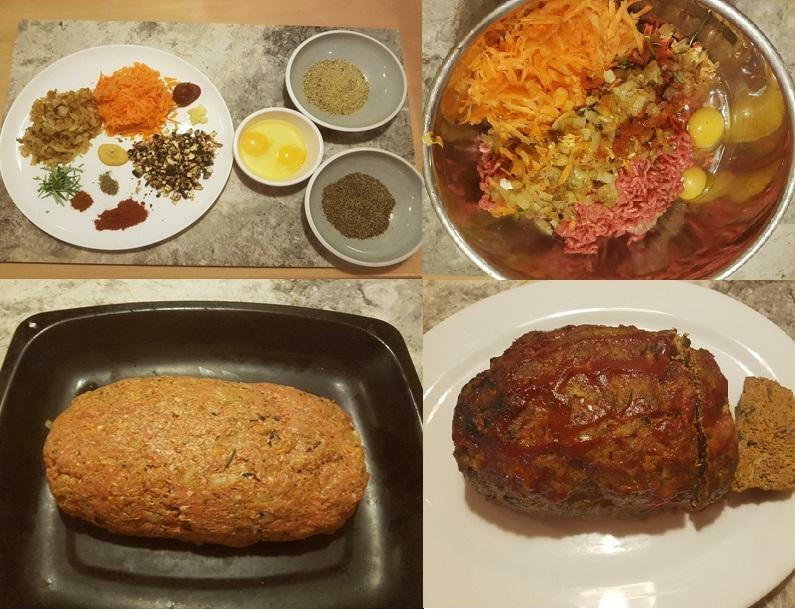 Meatloaf…the one my Mum always made had a very high sugar content, but I have adapted the recipe for my family and created a healthy nutritious version. If you’re thinking what the heck is meatloaf? Let me enlighten you; it is as American as apple pie and is often served with creamy mash and gravy for a family gathering. Lot’s of differing theories out on the www as to where it originated from but essentially a version of mixing ground meat with a starch component and spices have been around since the Roman days. I like to think the Dutch and German immigrants brought their versions over to the USA and it grew to be a cheap affordable way of eating protein during the depression. I suppose the closest to a UK version is to liken it to faggots without the offal aspect and much tastier. Meatloaf is versatile, budget and child friendly….oh and my version is packed full of nutritious goodness without the starch and is gluten free. Give it a go and let me know what you think. Shove it all in a bowl and get stuck in with your hands, just like when you make bread! Squig and squeeze away until thoroughly combined. Once mixed together, turnout and shape into a loaf shape in a baking pan, cover with foil and pop it into a preheated oven, middle shelf and leave to bake for 45mins. Now take out and put on the glaze with the back of a spoon or if feeling fancy paint it on 😉 – leave foil off and bake for a further 15 minutes until cooked right through or probed at 75 degrees F and above. Once out of oven – please allow meat to rest for 10 minutes.